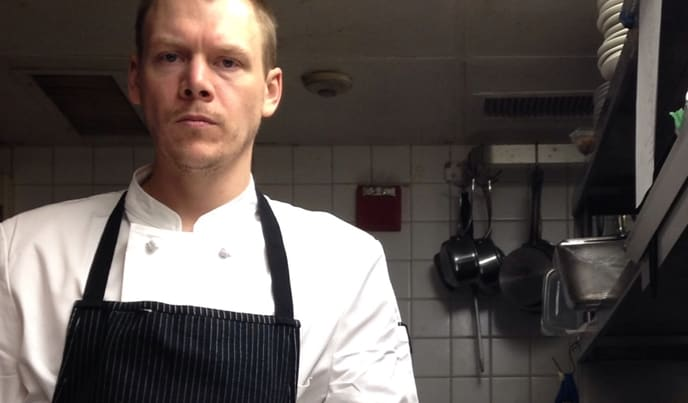 Brian, how did you get started on the road to being the executive chef at 49 Social? I got a little bit of a late start for the industry after going to a liberal arts college in upstate New York. I graduated from Hartwick College with a major in business with my main focus being the restaurant industry. I moved to Miami after school to go through the motions of a new restaurant opening with the guidance of my godfather, John Elmasry. I worked my way around different positions to get a feel for the business, but once I started in the kitchen there was no turning back. I received an associate degree in culinary arts from Le Cordon Bleu, Miami with the highest of honors while working at Christabelle's Quarter. From there I was determined to work hard and learn as much as I could from some of the best on the East Coast. I worked with James Beard winners and semifinalists, like Dean James Max and Jeremy Ford at 3030 Ocean in Florida, decorated chef and restaurateur Jamie Mammano at Sorellina in Boston, James Beard-winner Barbara Lynch at her Relais and Chateaux property at Menton, and, before taking helm at 49 Social, I worked at the newest addition from the Aquitaine Group, Cinquecento as the executive sous chef. I started here at 49 Social Feb. 2, 2014, and I have just switched over to the new menu. We have taken a new approach to the concept, offering more small plates and focusing on classical French technique with a blend of Italian and French flavors. With all your access to professional cooking appliances, what tools do you love the most in your own home? Something I can't or almost refuse to cook without is a good knife. Having something with a good edge to make a nice cut or slice is a must-have for me. I have a Masamoto carbon steel 7-inch chef's knife at home that got pushed to the side when I got the 9-inch version to replace it in my knife kit. Again, my knives are my babies. Using the right knife for the right job is key – a slicer, a chef's knife, a petty, a paring, a tourne. They're all equally important and serve different jobs. I have a Masahiro slicer, Masamoto chef's knife, Mac petty, Mac paring and a Messermiester tourne. What appliance would you own if price and space weren't considerations? If I could, I would have a Vitamix blender in my home. Nothing compares to a Vitamix. For purees, soups, some sauces, the only piece of equipment is a Vitamix. It's a MUST-have in a professional kitchen and something I would love to have at home.